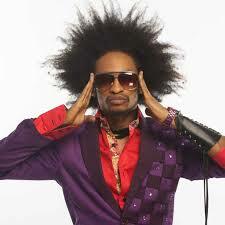 Controversial media personality Denrele Edun has been rumoured to be gay for a while now. His eccentric personality has helped fan the flames of the gay rumour for a while now. Well looking at Denrele’s tweet today (December 16), it seems that Denrele is finally coming out of the closet. 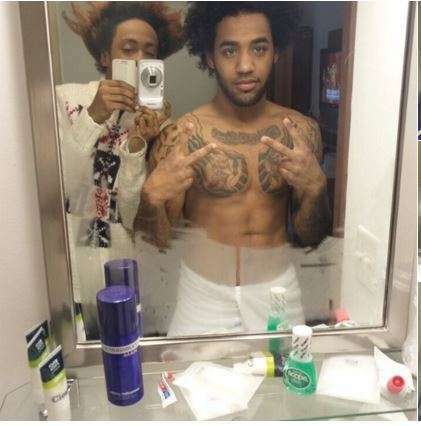 Denrele Edun tweeted a picture of him and an unidentified man in a bathroom. Denrele is fully clothed, while the man is only wearing a towel. Denrele and his ‘friend’ pose together severally in the bathroom. The picture has raised eyebrows, but Denerele’s words in the tweet are indicating that he is coming out as gay. “That moment when the Side Chick is not a Chick!#TheMorningAfter #TransTuesday into #WednesdayWant” tweeted the former SoundCity presenter. Well, we shouldn’t really be surprised with Denrele’s latest antic. He has always called himself a sexual outlaw and has stated severally that he is not homosexual. A few months ago he called himself Nigeria’s 'Caitlyn Jenner’. Is Denrele finally coming out of the closet or is he just catching fun? Labels: derenle coming out clean?